You cannot pet the dogs in Minecraft or Fortnite, but you can pet the dogs in Butterfly Soup. You couldn’t pet the dog in Enter the Gungeon, but now you can following an update. 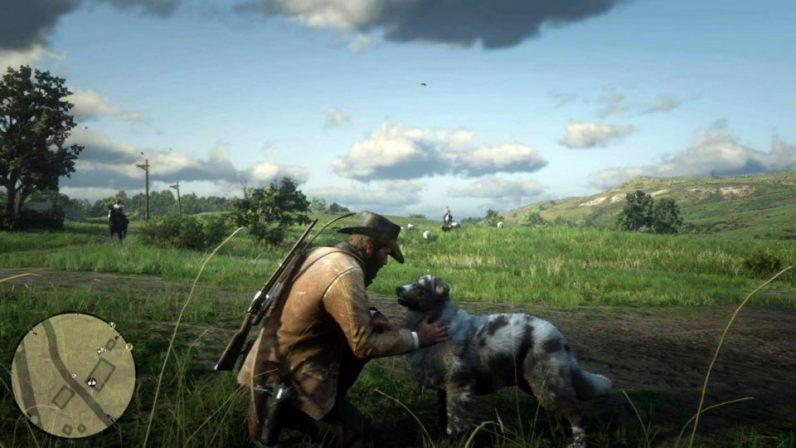 This is the feed of @CanYouPetTheDog, a Twitter account that, well, answers whether you can pet dogs in popular video games, with accompanying video as proof. After launching in early March, the account now has over 162,000 followers. We spoke with the founder, who wishes to remain anonymous, about why they started the account, what its popularity says about people, and why not cats. An unabashed love for dogs is a cherished part of internet culture — the popularity of Facebook pages such as We Rate Dogs (330,000 likes) and the Doge meme prove this — so @CanYouPetTheDog’s quick success comes as no surprise. “I make sure to credit the submitter, as long as they are comfortable with it,“ the anonymous founder added. Whether @CanYouPetTheDog speaks to the loneliness of video games, or modern society, one thing is certain: dogs over cats. Ok, I might be projecting here a bit, but dogs are way better than cats, right? There you have it. Dogs are better than cats.